MATRIX - EVERYDAY IS A VACATION WITH THE MATRIX POOL! Simplified assembly eliminates the need for metal fasteners and tools. 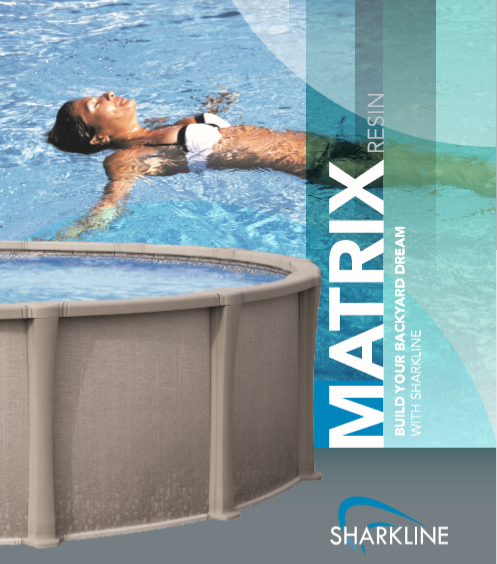 More uprights on every pool, resulting in a stronger top ledge that offers maximum stability. 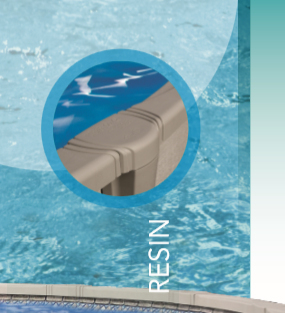 More uprights on every pool, resulting in a stronger top ledge that offers maximum stability. Oversized Corrosion-Free Foundation System, providing a long lasting foundation that continuously stands up to heavy weight and corrosive soil conditions. 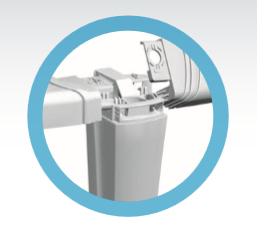 Exact-fit Components, no universal components that leave extra holes open, all parts are made specifically for one size pool. Resulting in pool components that lock out corrosion. 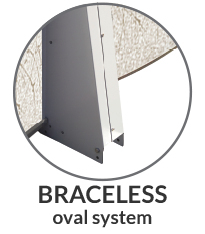 Optional Wall Saver Panel, designed to withstand stress at the point where water enters and exits the pool for filtration. Stainless Steel Fasteners, High grade stainless steel nuts, bolts and fasteners, eliminating the worry of rust spots on your pool. Interlocking Stabilizer Rails, fits tightly over your liner and the top of the pool wall, locking the liner in place to increase its life. Patented design allows the top ledge to pivot to the "up" position for easy assembly, installation, and regular maintenance. Advanced computer aided design, combined with leading edge gas assist injection molding technology allow for the parts to fit perfectly. Simplified assembly eliminates the need for metal fasteners and tools. Your above ground pool has been designed to provide you with years of safe family fun. This entails that water safety must always be taken into account. When used incorrectly, your above ground swimming pool can be dangerous; above ground pools are shallow, and this makes diving and jumping unsafe. To ensure your above ground pool is used safely you must observe the safety precautions that are provided to you when you purchase an above ground pool and conform to all local regulations.